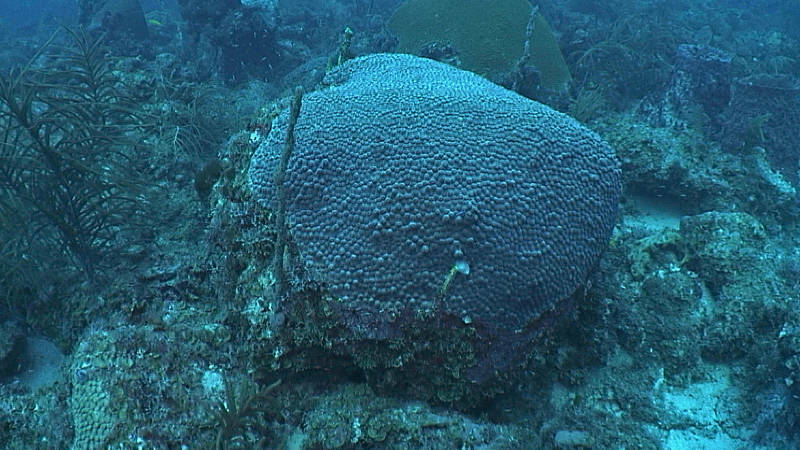 Between August 14-28, scientists conducted the second round of fieldwork as part of the Coral Ecosystem Connectivity 2014: From Pulley Ridge to the Florida Keys expedition. 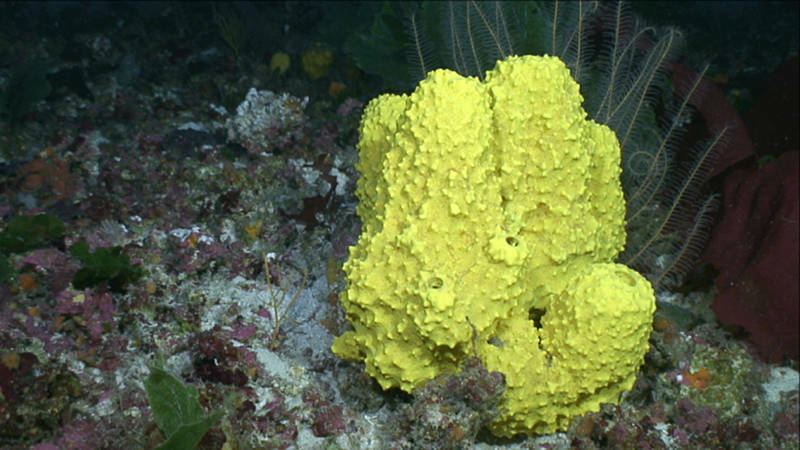 The expedition was funded by NOAA’s National Centers for Coastal Ocean Science and Office of Ocean Exploration and Research, in partnership with NOAA’s Office of National Marine Sanctuaries, National Marine Fisheries Service’s Southeast Regional Office, and the Gulf of Mexico Regional Collaboration Team. 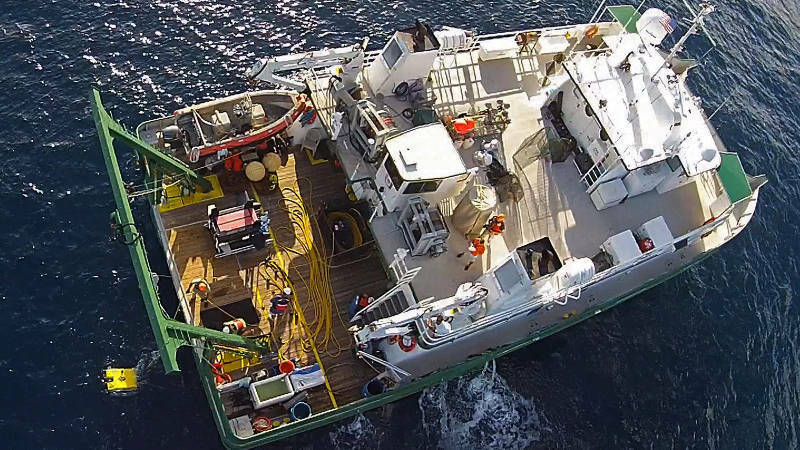 Our team of 20 scientists and divers working on two ships, the R/V F.G. Walton Smith and the M/V Spree, were able to accomplish all our planned objectives. On June 18, 2014, eight of us set out on a 10-day research cruise aboard the M/V Spree. 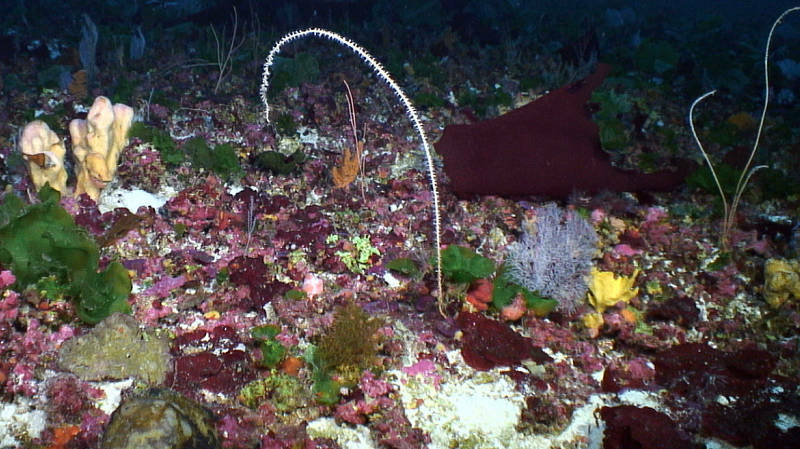 The In-situ Ichthyoplankton Imaging System (ISIIS) deployed from the ship. Ambushing Lionfish sometimes use gorgonians to camouflage themselves from their prey.